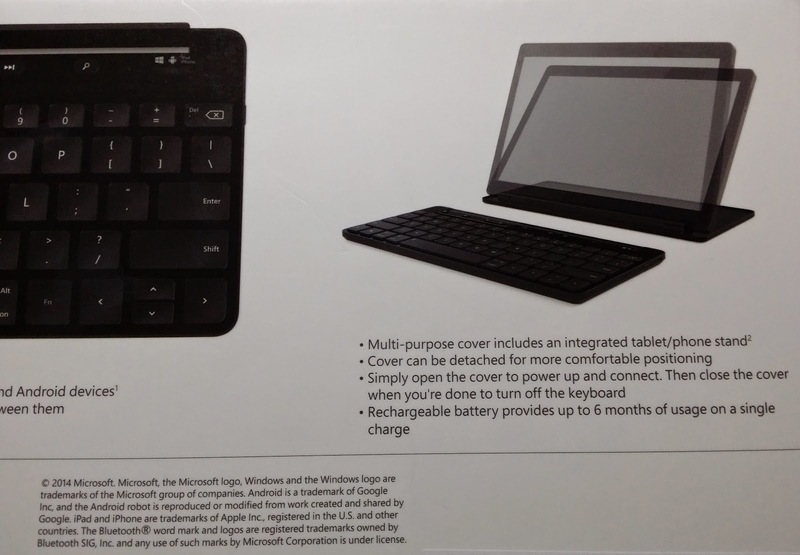 I bought the Microsoft Universal Mobile Keyboard at the recent IT Show, March 2015. The stated price was SGD99 on the brochure but the actual price is SGD89. 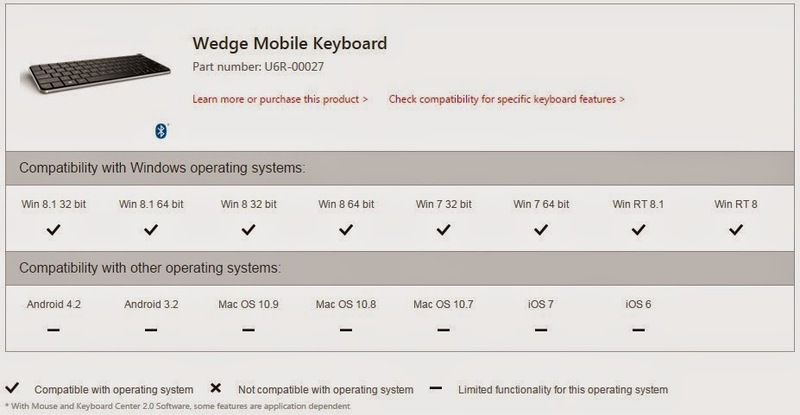 I wanted to purchase the Microsoft Wedge Mobile Keyboard. 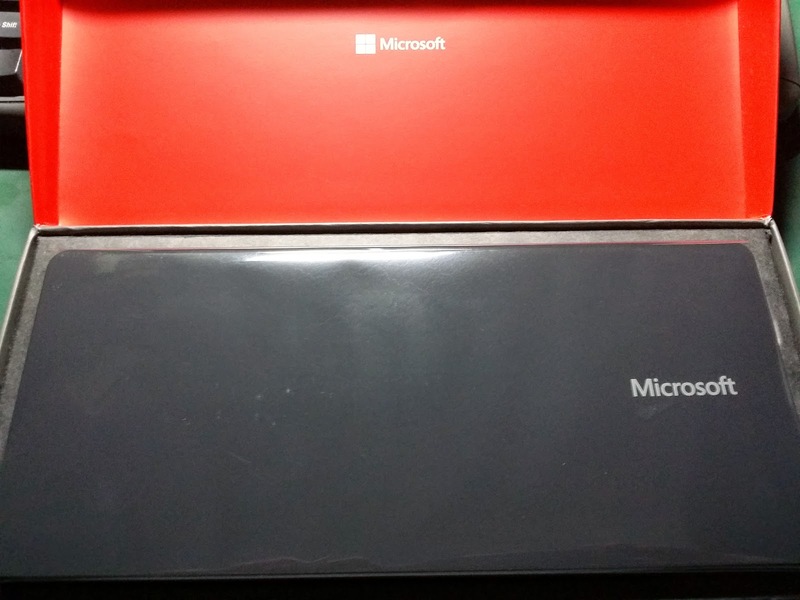 It was selling at half-price at SGD49.50. 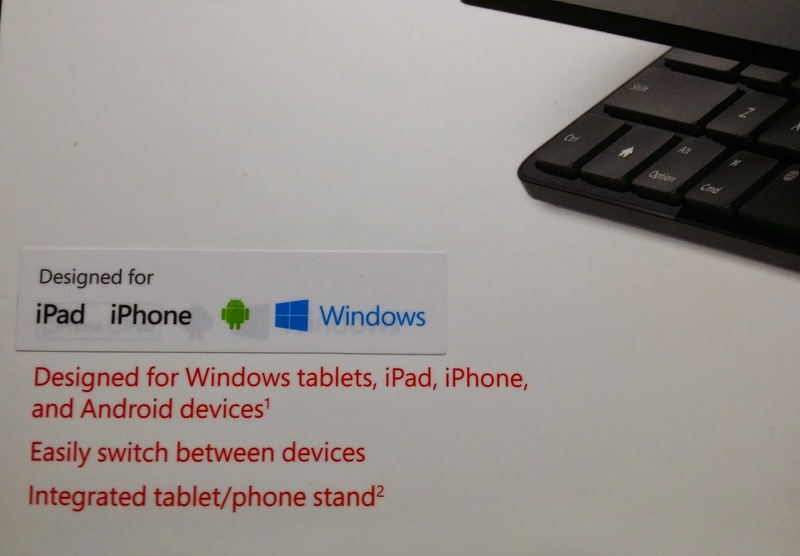 But I was told by the kind gentleman that it does not work with iPad. I was shocked. 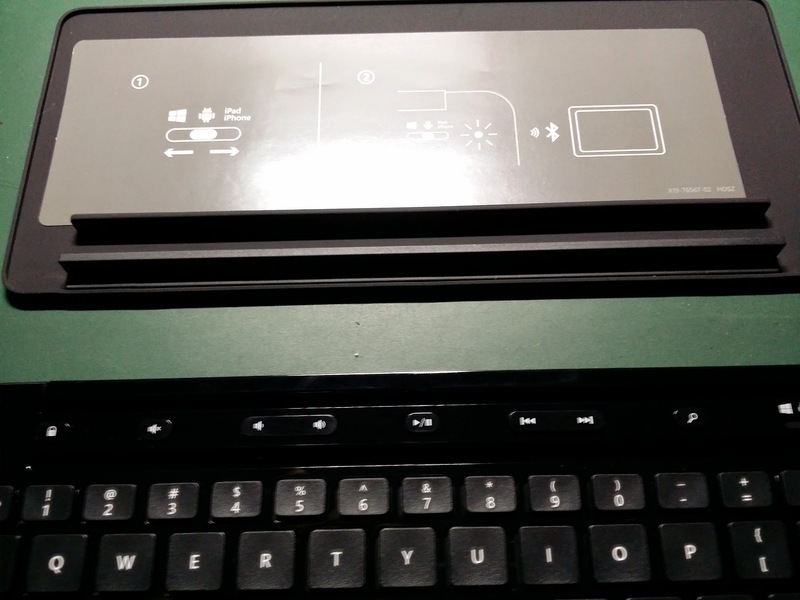 He mentioned that only the Universal Keyboard works with iPad effectively. Was this a scam to get me to buy an expensive keyboard? 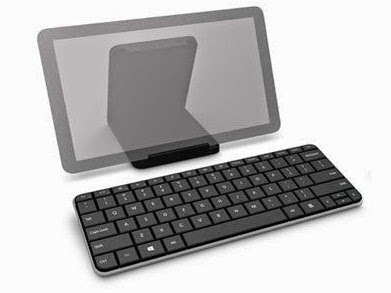 I like the Wedge Mobile Keyboard because the keyboard cover can double as a stand for the mobile device. 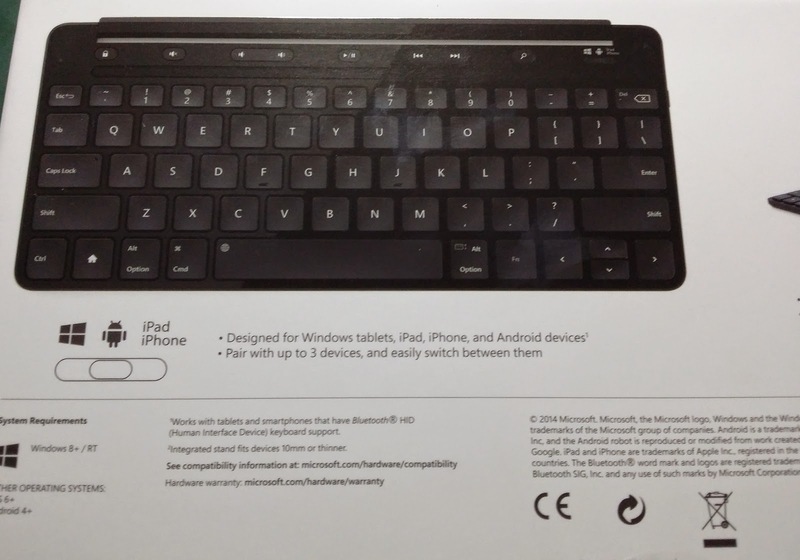 I bought the Microsoft Universal Mobile Keyboard nevertheless and thankfully, it was the right decision. 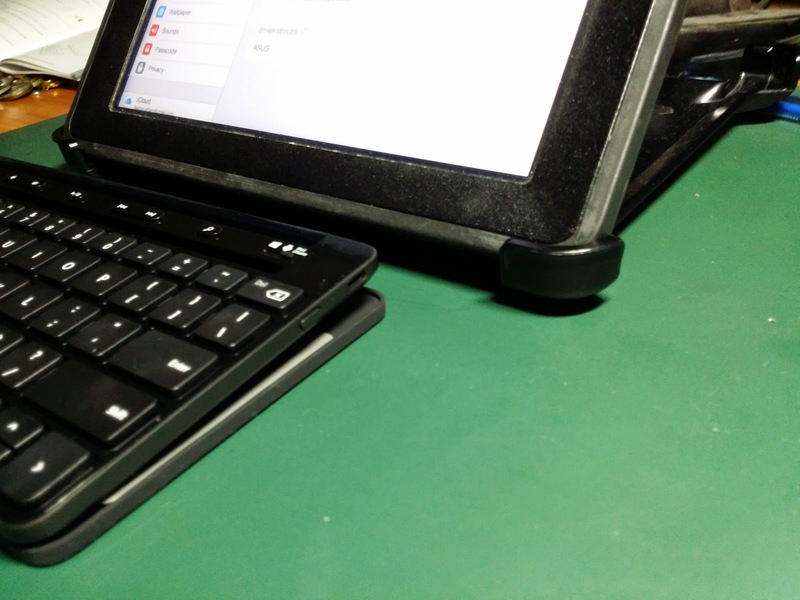 It indicates that the Wedge Mobile Keyboard has limited functionality for Android and iOS devices. 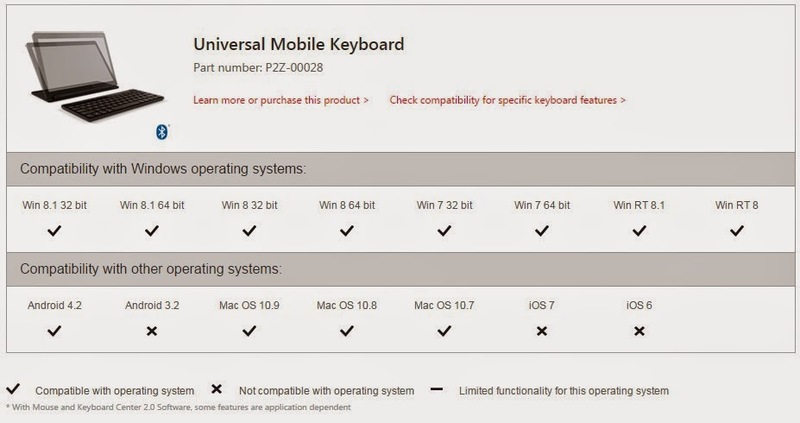 From the MS Singapore site, it shows that it is not compatible with the iOS version. 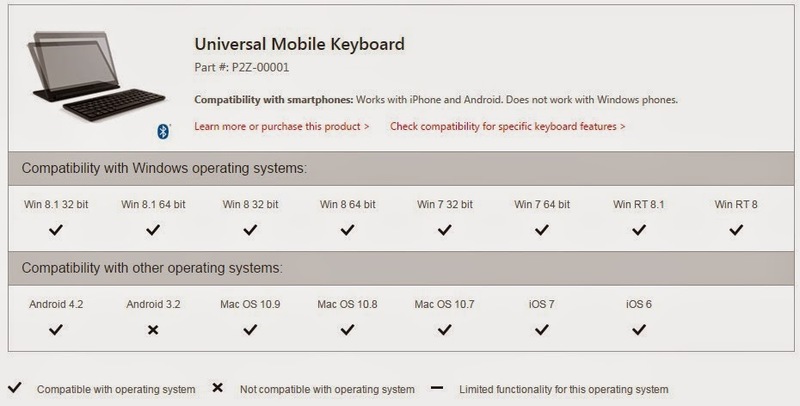 From the MS US site, it shows full compatibility. Although the part number is from the one in the Singapore site. 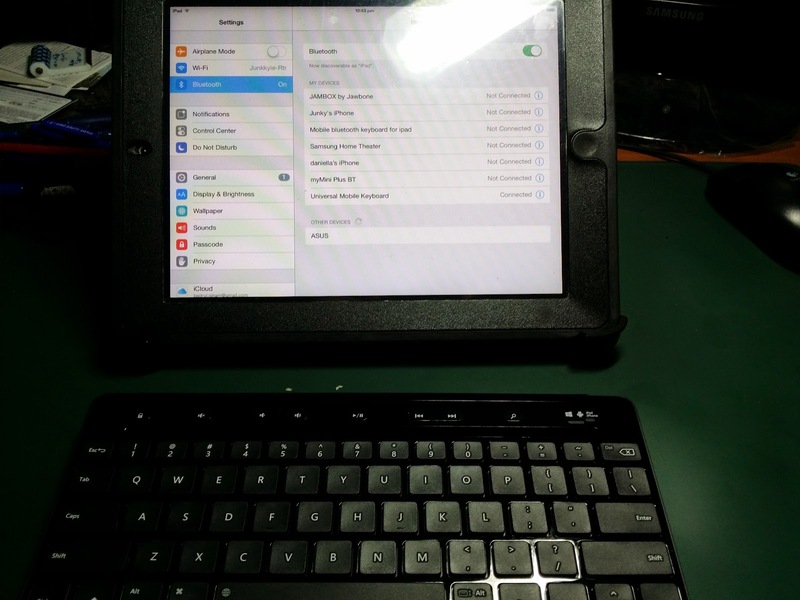 Thankfully, the Universal Mobile Keyboard that I bought works find with my iPad2. 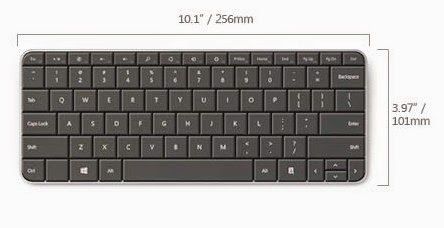 It can be seen that the length of the Universal Keyboard has been reduced. But the breadth has increased. 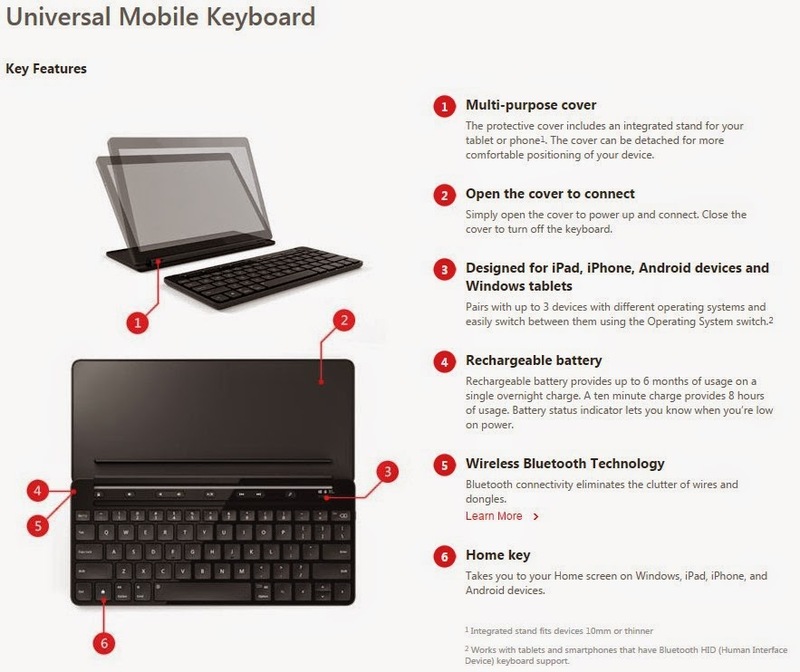 This could be due to the spaced between the keys on the Universal Keyboard. 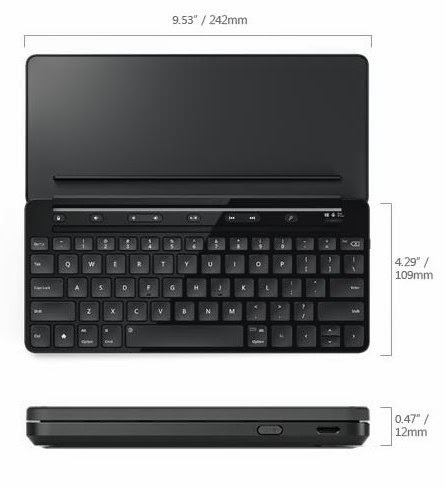 Includes a micro-USB cable and instructions. mobile device. 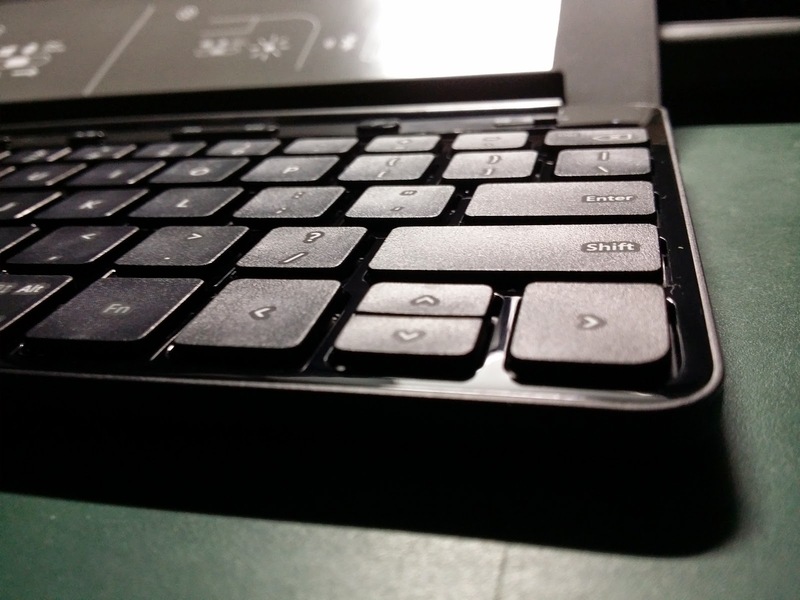 Opening the cover wakes up the keyboard. 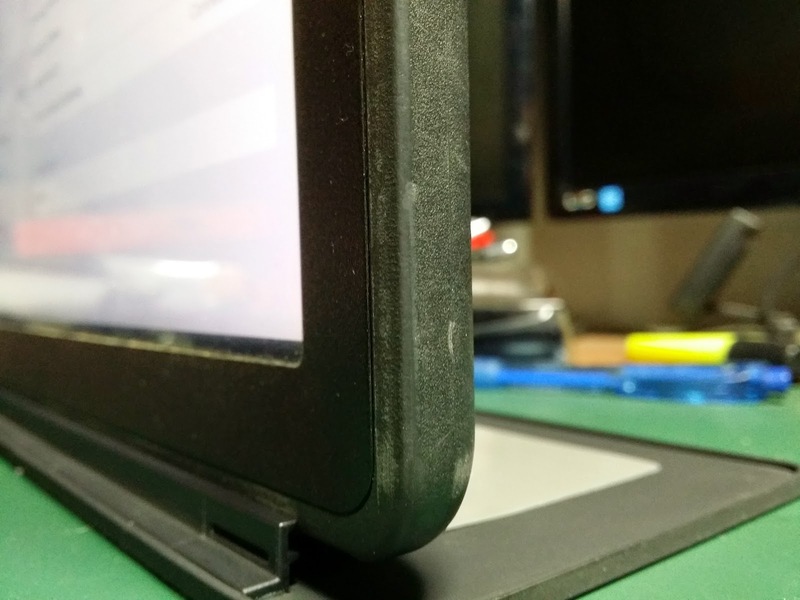 The cover magnetically attaches itself to the hinge. 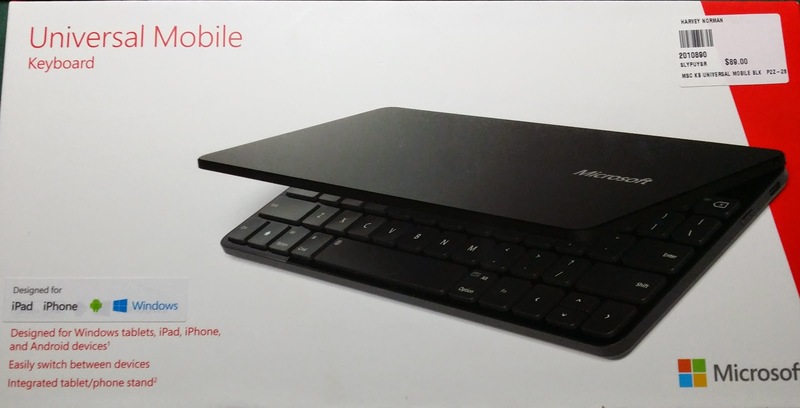 and the keyboard cover to increase its incline. 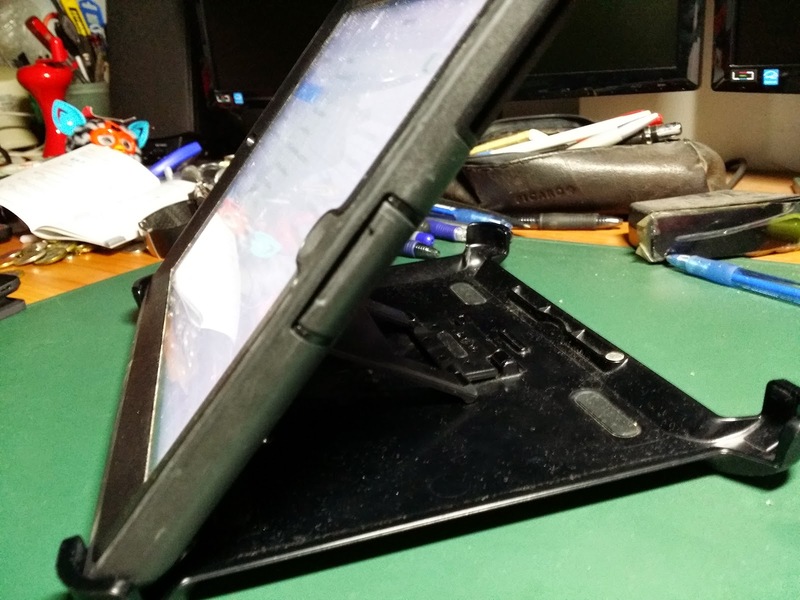 A view of the Otterbox cover which also doubles as a stand. 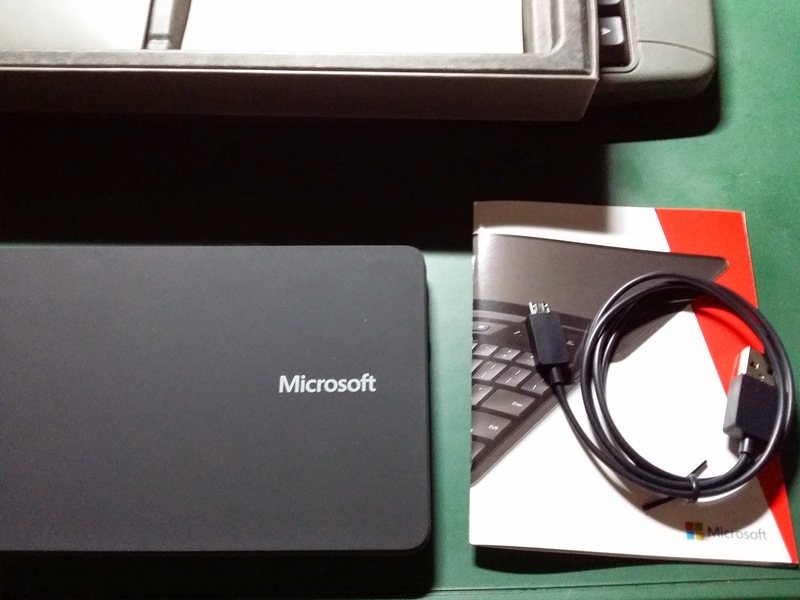 Pairing the device on bluetooth is quite easy and very fast. However, the location of the keys are still too close for me. The feedback from the keyboard is not strong enough. Maybe its because I am so used to mechanical non-gaming keyboards. 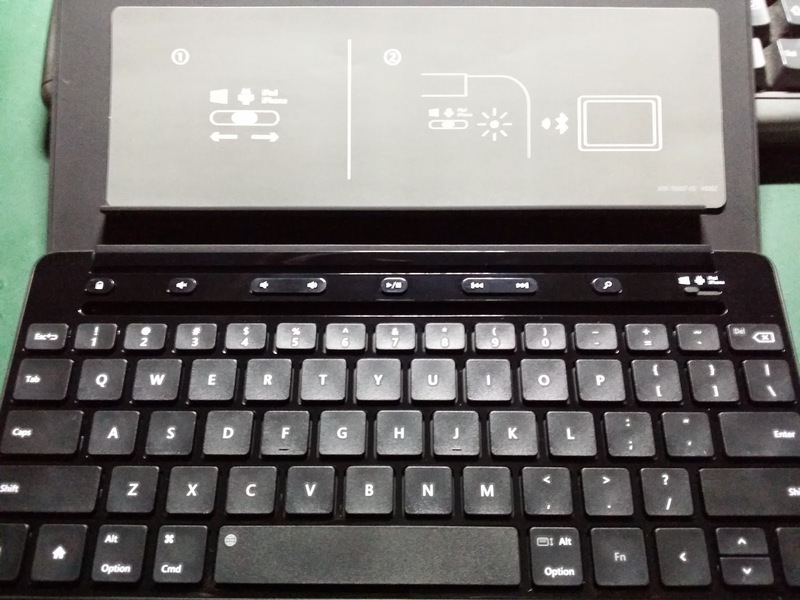 But it is quite nice to be typing on a keyboard instead of the virtual keyboard on the iPad.